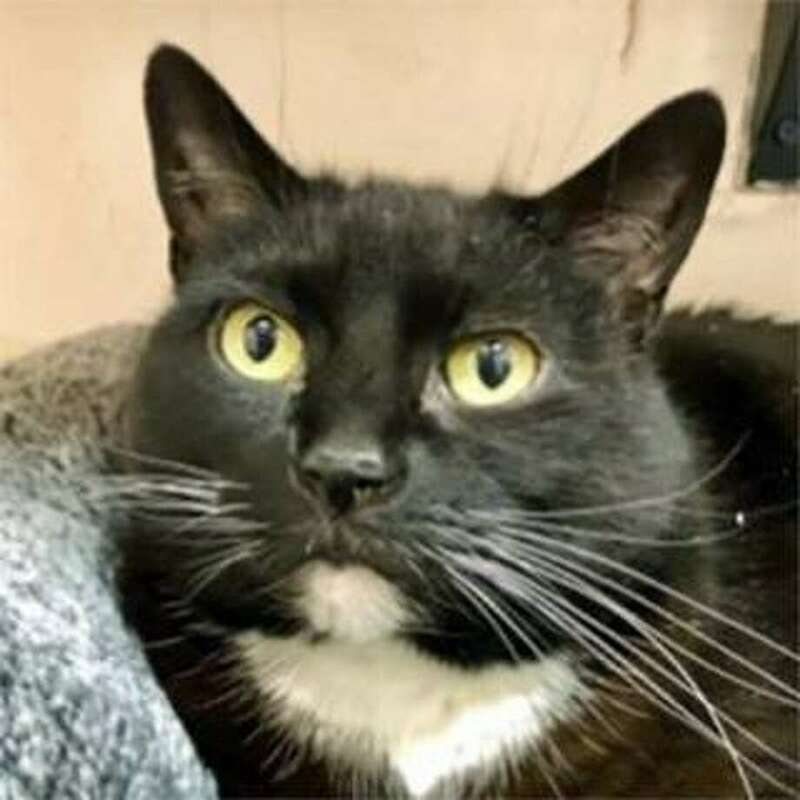 Sweet senior Chinny (aptly named for the cute white spot on her chin) is looking for the retirement home of her dreams. This XL girl weighs in at 16 pounds and would love an exercise regimen (aka feather wand aerobics and jingle ball sprints) as part of her retirement package. You can be both her personal trainer and the love of her life. She’ll give you nose boops and head butts for years to come. And consider bringing home her sister, Biscuit, too. They’re besties and would love to spend their golden years together. To learn more about Chinny, visit the Westport Adoption Center at 455 Post Road East, Westport, CT 06880, or call 203-227-4137.